OMO VALLEY, Ethiopia, Nov 11 2013 (IPS) - As the construction of a major transmission line to export electricity generated from one of Ethiopia’s major hydropower projects gets underway, there are growing concerns that pastoralist communities living in the region are under threat. The Gibe III dam, which will generate 1,800 megawatts (MW), is being built in southwest Ethiopia on the Omo River at a cost of 1.7 billion dollars. It is expected to earn the government over 400 million dollars annually from power exports. On completion in 2015 it will be the world’s fourth-largest dam. Although the latest U.N. Development Programme Human Development report ranks Ethiopia 173rd out of 187 countries, Ethiopia, Africa’s second-most populous country, is one of the continent’s fastest-growing economies. 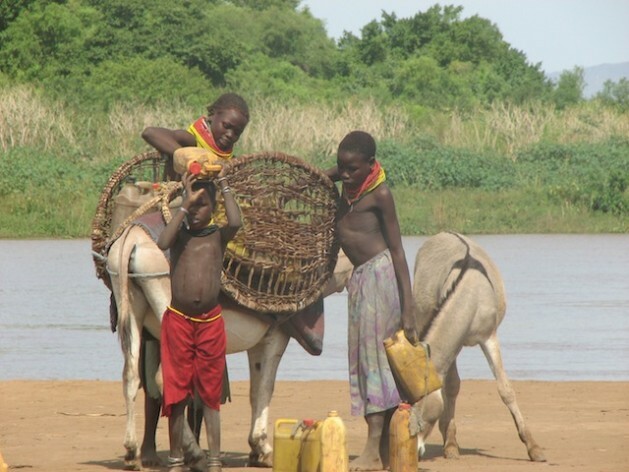 The importance of ensuring that benefits from Ethiopia’s national development projects do not come at a price of endangering the lives of hundreds of thousands pastoralists is critical said Ben Braga, president of the World Water Council. Braga decried governments that failed to compensate communities like the Mursi as displacement of surrounding communities is always an inevitable consequence of major dams that need plenty of advanced planning to avoid emergencies.